CNN’s Jake Tapper spoke with Chairman of the House Committee on Veteran’s Affairs US Congressman Jeff Miller (R., Fla.) about his calling for the resignation of Secretary of the Department of Veterans Affairs Eric Shinseki. The full interview aired on CNN’s The Lead with Jake Tapper, 4-5 p.m. E.T. TAPPER: Let’s bring in Congressman Jeff Miller, Republican from Florida, chairman of the House Veterans Affairs Committee. Congressman, thanks for joining us. 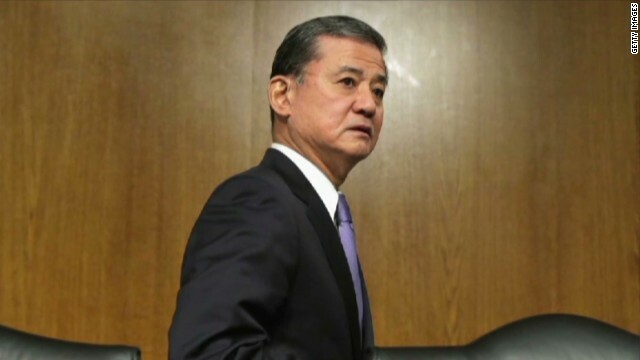 You, a few days ago, said that this is much bigger than the secretary of the Department of Veterans Affairs, but now you’re calling for Shinseki to go. What changed? REP. JEFF MILLER (R), FLORIDA: It is much bigger than one person, that person being the secretary of the Department of Veterans Affairs. But I will tell you this, Jake. What changed was the interim report that came out today. And I had always said we’d wait and see what information the OIG was able to provide. And to have this kind of damning information come out in an interim report, you can only imagine what they’re going to be able to come up with if they have several more months to work with. TAPPER: What about those who say, sure, firing Shinseki will make us feel good, but the next guy will have to get up to speed, the system won’t simply be changed by removing the secretary? MILLER: That’s been my concern all along, and I want to be very clear. Even if the secretary decide that it’s time for him to leave, it doesn’t change the fact that we have got a broken system out there, and there will be no honeymoon period for whoever the new secretary is. This has got to be fixed. Veterans are being harmed. We’re only focusing right now on Phoenix, when it’s a systemic problem throughout the country, and we already know that 23 veterans have died because of delayed care. TAPPER: You’re calling for a criminal investigation. Apparently, the Justice Department has not launched a criminal investigation, though we’re told by our Justice Department reporter, Evan Perez, they have been gathering information. Specifically, Congressman, what laws were broken? MILLER: Well, manipulation of wait times that have caused harm to individuals, and people have died? I would believe that that would be breaking the law. Not telling the truth to Congress, that is breaking the law. Not being honest to the American people darn sure ought to be against the law. TAPPER: There are more than 1,700 various VA facilities across the country from Alaska to Guam. How widespread do you think this specific problem with cooked books and false waiting periods, how long do you think that — how widespread do you think the problem is? MILLER: I think you’re going to find that this is a pretty prevalent problem throughout the department, because what the department does is they provide bonuses to individuals and 50 percent of many of those bonuses that are paid are geared specifically on the wait times that are out there. So it behooves them to make those wait times look good. Sure, the person at department gets a bonus, but the veteran gets harmed while they’re waiting. TAPPER: A second ago, when I was asking you about criminal charges, you referenced lying to Congress. Who specifically do you think lied to Congress? MILLER: Well, tonight, we’re going to have a hearing at 7:30. We’re going to talk to three of the people that in fact have been subpoenaed and we’re going to ask them, why are we waiting so long to get the information from the department? I have over 110 requests for information, some going back over two years, trying to find out answers to questions like, why are there wait times? Why have you had deaths occur in hospitals that were preventable deaths? And who’s been held accountable for it? TAPPER: So, those individuals coming to the hearing tonight are potentially criminal; did I understand you correctly? MILLER: Any of the people within the department could, in fact, be brought up on criminal charges, should the facts bear out. I think you’re going to see that there are going to be individuals that are in supervisory roles that in fact told their subordinates to cook the books. The subordinates followed the rules, but it was the people who were getting the bonuses and the promotions to keep the wait times low that cannot be allowed to skate on this issue. TAPPER: Congressman, you have been chairman of the House Veterans Affairs committee since 2011. A veteran, former Army Specialist named Alex Horton of Texas, who covers a lot of stories in various media, he wants to me ask you, why hasn’t your committee, why hasn’t the House Veterans Affairs Committee, been effective at curbing these — these problems? MILLER: Well, first of all, let’s talk a little bit about oversight. In this Congress, the 113th Congress, we have had 70 committee hearings; 42 of those were oversight. From those oversight hearings, we asked the department to give us information. We wait and we wait. We don’t get any answers. It shows an arrogance by the administration, and certainly the department, to not want to give Congress the necessary tools to do our oversight responsibility. But let me tell you this. The secretary’s been secretary almost twice as long as I have been the chairman. He has had the ability to fix this problem, and he hasn’t done it. Congress has passed laws. Rules have been written, but if they don’t follow those rules, somebody’s got to pay the price. TAPPER: Congressman, a conservative group, Crossroads GPS, is using this VA scandal in a new political ad. Take a listen. NARRATOR: A national disgrace. Veterans died waiting for care that never came. Senator Mark Begich sits on the Veterans Affairs Committee. His response? If there’s a problem, they need to fix. If there’s a problem? TAPPER: Is that appropriate, that kind of — using this scandal, these deaths, in politics? MILLER: No, I wouldn’t use anything like that politically. I will tell you this. I have tried since I have been the chairman of this committee to work with both sides of the aisle. My ranking member, Mike Michaud, and I have received briefings together. We have worked on the subpoenas that the committee has, in fact, passed, only two, because we have been waiting for Congress — for the department to do what they’re supposed to do. But this is a bipartisan issue. We’re talking about Americans, people that have worn the uniform. It should not be a political football. And we on the House side have not done that. TAPPER: Chairman Miller, thank you so much for your time. We appreciate it.